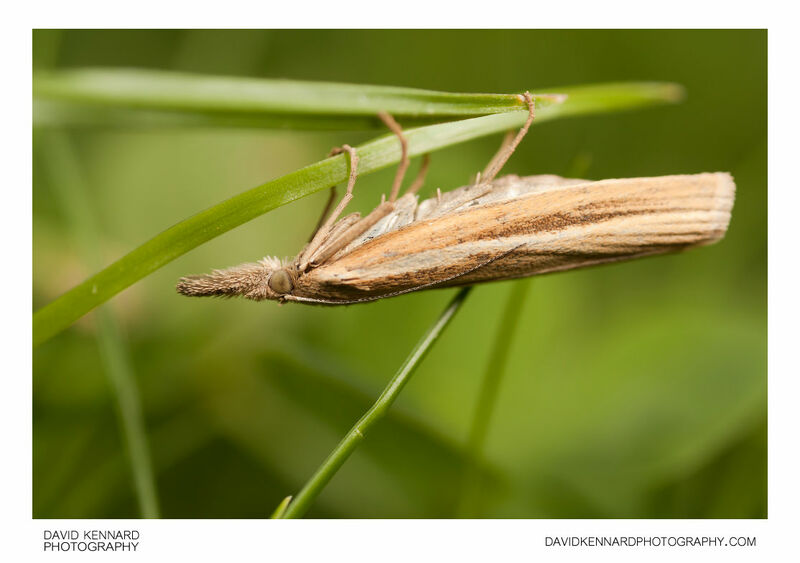 Agriphila tristella is a common moth found in grassland throughout Britain. It has a distinctive white streak along its side, which branches into 'fingers' towards the wing tip. The typical wingspan of Agriphila tristella is around 27mm. It is a nocturnal moth, and can normally be seen from June to September. The larvae of Agriphila tristella feed in the base of stems of grass.